Take your favorite freeway to the 110 Freeway (called the Pasadena Freeway north of downtown LA, and the Harbor Freeway south of downtown) south. Get off on Exposition Boulevard and go west. About 3/4 of a mile west on Exposition, turn right at USC Watt Way, which will bring you on campus. At the USC Watt Way entrance to campus is a parking attendant, who will give you (if you've arranged it with me ahead of time) a parking permit for Parking Structure A (see map.) 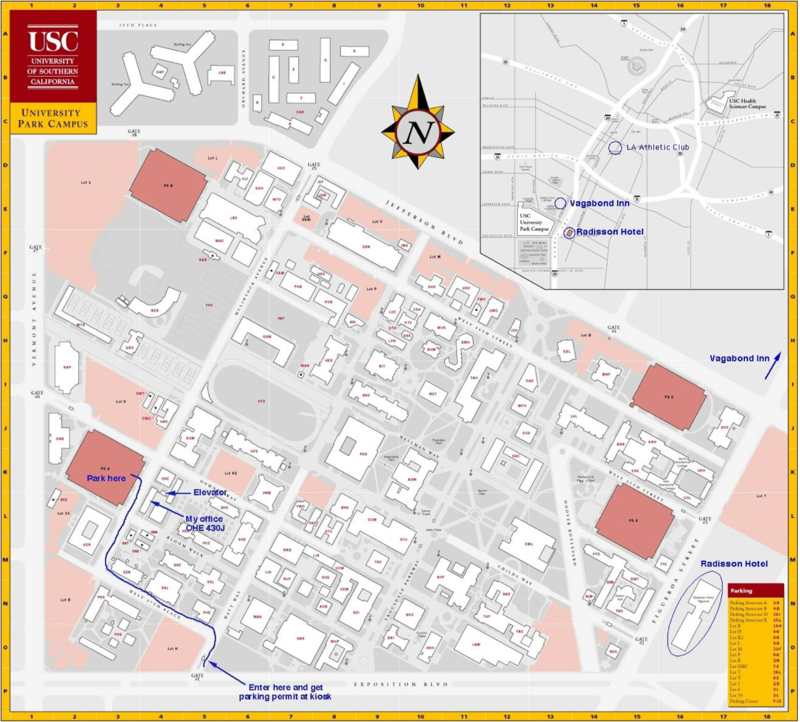 Park in Structure A, cross the street to Olin Hall, and come up to the 4th floor where my office is (room 430J). 15 minute walk to my office. 25 minute walk to my office.